So, you have just gotten a new Mac and are wondering what free software you can load onto your machine to get started using it. There are tons of apps that you can install on your Mac and start being productive, but you don’t want them all. For you folks, we have compiled here a list of the 101 best free software that you can use on your Mac to start creating things. 1. Libre Office – Libre Office also has all the office apps to help you create documents, spreadsheets, and presentations. You can also add extensions to extend the functionality of this office suite. 2. Scribus – Scribus is an open-source desktop publishing tool that lets you create various document types on your Mac. It has all the tools to help you build some amazing stuff on your machine. 3. Evernote – Evernote is a popular note-taking app that allows you to collect and share ideas with people using notes. 4. Microsoft OneNote – Microsoft OneNote is Microsoft’s note-taking app that lets you capture your thoughts and jot them down in various notes. 5. SimpleNote – SimpleNote, as the name implies, is the most simplest way to create and save notes on your Mac. It has a number of features, and its aim is to provide you with a neat and clean interface for you to create your notes. 6. Notational Velocity – Notational Velocity helps you save your notes, and it retrieves them for you when you want. 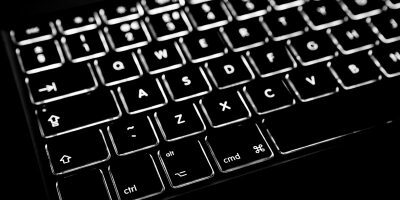 You can do almost everything in the app without touching your mouse, which is a great thing as you don’t need to move away from your keyboard. 7. Google Chrome – Google Chrome is one of the best and most popular web browsers out there. It has tons of features as well as extra features that can be added using extensions. It also supports apps along with extensions to help you get the most from a web browser. 8. Mozilla Firefox – Mozilla Firefox is also a popular web browser and a tough competitor of Chrome. It packs all the cool features you will ever need from a browser and has an add-on repository to add new features to it if you want. 9. Opera – Opera has been in on the market for many years, and their browser for Mac is just awesome. It features a built-in VPN to help you keep your data transmissions secure over the Internet. 10. OmniWeb – OmniWeb is a powerful and feature-rich web browser that keeps your browsing sessions fun and smooth for you with its cool features. 11. 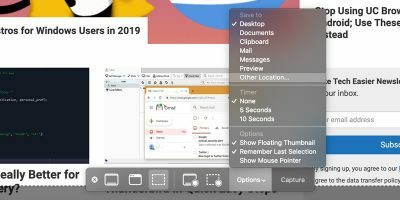 Roccat – Roccat is a lesser-known browser for Mac that has some really good features like pasteboard suggestions, RClouds, Flick to help you share webpages across your devices. 12. VLC – VLC for Mac is just as great as it is for Windows. It plays almost all kinds of media formats and is a really smooth player for you to play your media files on your Mac. 13. MPlayerX – Besides regular features, MPlayerX has features like finding out the next episode of a series in a media folder, helping you play the audio in your home theatre system, and gesture support to help you control your media playbacks. 14. Cisdem VideoPlayer – Cisdem VideoPlayer helps you play more than fifty media formats on your Mac. It plays 4K, 5K and full-HD videos without any buffering or crashes. It also supports subtitles which you can download and add to your media files. 15. 5KPlayer – 5KPlayer is a media player that has a lot of features other than just playing media files. It plays almost all kinds of media files and has an AirPlay sender and receiver to help you play files from your iPhone. 16. MPV – MPV is an open-source and cross platform media player that packs the features of MPlayer and offers a few more for your enjoyment. 17 .The Unarchiver – The Unarchiver is a great replacement for the Archive utility on your Mac. It supports many more formats for extraction than the default utility on your Mac and also fits very well with the design of the Finder app on your Mac. 18. iZip – iZip lets you zip and unzip files, rar and unrar files, and also helps you encrypt your archives so they are safer and can’t be accessed by unauthorized parties. 19. Keka – Keka supports a number of formats for extraction and compression which include 7z, zip, tar, dmg, and also the ISO format. 20. RAR Extractor Free – RAR Extractor Free, as the name says, is a RAR file extractor for your Mac. Not only does it support RAR, but it also supports a number of other formats such as zip, tar, 7-zip, and so on. 21. Zipeg – Zipeg is a one-click archive opener with which you can open your archives with a single click. It supports multiple archive formats and can also extract a series of archives if they are in the same folder. 22. Adium – Adium is an open source instant messenger for your Mac that supports multiple protocols and can be used with MSN, Jabber, Yahoo!, and so on. 23. Viber – Viber lets you send free texts, allows you to make free voice and video calls, and has customizable features so you have full control over what you are sharing with the app. 24. Telegram – Telegram is more like WhatsApp but supports bots which WhatsApp doesn’t. It lets you send free texts and also allows you to interact with some really cool bots (see an example here). 25. Instantbird – Instantbird supports a large number of protocols, and you can connect your Google Talk, Yahoo!, MSN, Facebook, and many other accounts to the app to share texts with your friends and family. 26. Franz – Franz supports Slack for messaging which means you can interact with your work buddies who use Slack by using this app. 27. Polymail – Polymail is a simple yet feature-rich email client for your Mac that is really a good replacement for the stock Mail app on your Mac. It has features like email tracking, ability to send emails at a later time, snooze emails, and so on. 28. Canary Mail – Canary Mail is an email client for Mac and iOS and claims to be a fast, secure, and simple client to help you manage all your emails. 29. Opera Mail – Opera Mail comes from Opera, known for its popular web browser. The email client is lightweight and customizable so that you can get all of your email tasks done without using many resources on your Mac. 30. Inky – Inky is for those who are concerned about the security of their emails. The app makes it really easy for you to send and receive encrypted and digitally-signed emails on your Mac. 31. µTorrent – µTorrent is an efficient torrent manager that lets you download torrents to your Mac. It’s lightweight, powerful, and faster so your torrents get downloaded quickly. 32. BitTorrent – BitTorrent helps you download large torrents easily to your Mac. It provides fast speeds, a neat and clean interface, a number of features, and more. 33. Transmission – Transmission is a popular torrent manager for Mac that uses less resources and allows for faster speeds for torrent downloads. It has support for magnet links, DHT, PEX, and so on. 34. Xtorrent – Xtorrent is the most advanced torrent client and has been written purely for Macs. It uses the latest technologies found in Macs to enhance the entire torrent downloading experience. 35. BitRocket – BitRocket is a native bittorrent client for Macs that uses the powerful bittorrent library files for better management and downloading of torrents. 36. AVG AntiVirus – AVG AntiVirus helps you remove Mac-specific viruses from your machine and keeps it protected from any threats. It runs in the background and keeps an eye on your content so you are always virus-free. 37. Comodo Antivirus – Comodo Antivirus keeps your Mac protected from infections like viruses, worms, and trojan horses. It’s a complete security app for your Mac. 38. 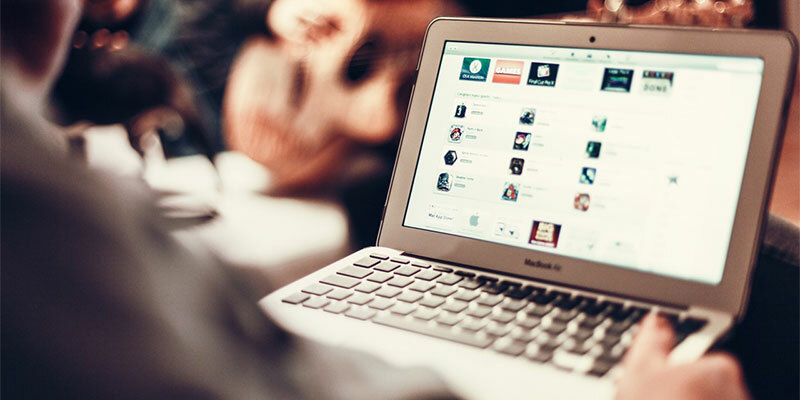 Avast – Avast makes sure your Mac is safe from any threats. Many think that Macs are the most secure computers, but they also need protection, and Avast takes care of that for you. 39. Sophos Home – Sophos Home is a business-grade security app for your Mac that aims to secure your machine from any viruses in a simple and effective manner. It helps you block unwanted content and provides advanced security to your machine. 40. Avira – Avira is a simple app that helps you quickly scan your Mac for any viruses or spyware. It uses some of the award-winning technologies to find and remove viruses from your machine. 41. FileZilla – FileZilla is a popular FTP client that lets you connect to your FTP server to download and upload files. It’s open source and comes packed with tons of features. 42. Cyberduck – Cyberduck helps you connect to FTP, SFTP, WebDAV, S3, Backblaze B2, Azure, and OpenStack for your file downloading and uploading tasks. As you can see, it has features that make it more than just a regular FTP client. 43. Classic FTP – Classic FTP helps you quickly upload and download files, uses SSL on FTP for secure file transmissions, and is compatible with all popular FTP servers. 44. CrossFTP – CrossFTP is a powerful FTP and Amazon S3 client that provides you a tabbed interface for multiple FTP connections, password encryption, archive extraction, quick searches, and so on. 45. FireFTP – FireFTP helps you connect to your FTP server from within the Firefox browser. You can then perform all the FTP actions such as downloading files, uploading files, and so on. 46. App Cleaner – App Cleaner helps you uninstall an app completely from your Mac. It makes sure nothing is left over when you remove an app from your Mac. 47. AppCleaner – AppCleaner makes it really easy to uninstall and remove all the files of an app from your Mac. It lists all of the installed apps on your Mac, and then you can pick which one you want to uninstall, and it clears it off your Mac. 48. FOLX 5 – FOLX 5 is a free download manager that blends very well with the style of Macs. It has features like smart tagging to tag your downloaded files, download splitting to boost download speeds, and it has browser extensions so it works seamlessly with the browser you use on your Mac. 49. iGetter – iGetter is a full-featured downloader and download accerelator that helps you download files faster on your Mac. It helps you manage your downloads, accelerates them, and also allows you to schedule downloads. 50. Free Download Manager – Free Download Manager allows you to download normal files, has support for bittorrent protocol, helps you convert media files after downloading, and helps you resume broken downloads so you don’t need to start downloading from the beginning. 51. Progressive Downloader – Progressive Downloader has multi-thread support and makes your downloading faster than ever. It easily integrates with your browsers, has support for FTP and SFTP, helps you search for the fastest download sources, and so on. 52. SpeedTao – SpeedTao is a simple yet powerful download manager that helps you speed up your downloads and also supports downloading from YouTube. 53. 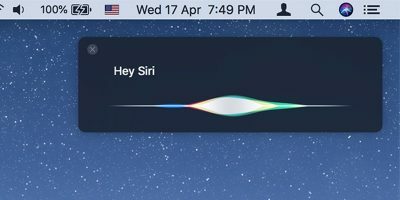 Lightshot – Lightshot helps you quickly capture a screenshot of a selected or full area of your screen. It’s easy to use and has a powerful editor to edit the captured screenshots. 54. 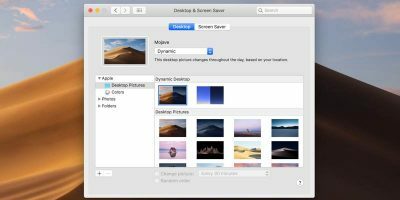 DuckCapture – DuckCapture is a simple app that lets you take various kinds of screenshots on your Mac. It lets you select a region of your screen, polygon, window, or the full screen for the screenshot. 55. Skitch – Skitch by Evernote is also a powerful app that lets you capture and annotate screenshots on your Mac. You can add shapes and text on your screenshots with its feature-rich screenshot editor. 56. Paparazzi! – Paparazzi! is for taking screenshots of webpages on your Mac. You just need to input the URL of the webpage you want to capture a screenshot of and it will take care of the rest for you. 57. Monosnap – Monosnap lets you capture screenshots and then draw items on them. It has an eight pixel magnifier, so your screenshots are perfectly cropped. 58. Atom – Atom is a hackable text editor for your Mac that lets you write codes, allows for cross-platform editing, has a built-in package manager, and helps you autocomplete your codes. 59. MacVim – MacVim is a text editor for your Mac that lets you create codes, has transparent backgrounds, and also has a full-screen mode for you to write a really long code and see it all without scrolling up or down. 60. Brackets – Brackets is a modern and open-source code editor that helps you quickly write web design codes. The app claims it understands web designing and has features tailored towards creating beautiful codes that do amazing things. 61. TextWrangler – TextWrangler is a popular code editor for Mac that provides you with a clean interface to write your code on. It has features like pattern matching, search and replace, syntax coloring, and so on. 62. gedit – gedit has tons of features to help you write codes on your Mac. It supports UTF-8, has syntax highlighting, undo and redo features, line numbers, word wrapping, current line highlighting, and many more. 63. Fotor Photo Editor – Fotor Photo Editor is a complete photo editor for your Mac that has features like batch processing of photos so the effects can be applied to multiple photos at once, powerful editing tools, and a collage maker to help you create collages. 64. GIMP – GIMP is used to retouch your photos, resize your photos, image composition, and image construction. It can also be used as a paint program on your Mac. 65. Paintbrush – Paintbrush is more of a painting program that lets you create new paintings and draw shapes on your existing images. It supports multiple image formats and is a nice small app you must have on your Mac if you love photo editing. 66. Autodesk Pixlr – Autodesk Pixlr has over 100 effects, 340 overlays, and 200 borders to be added to the photos you edit on your Mac. It’s a feature-rich photo editor that has almost everything you would ever need to edit and retouch your photos. 67. PhotoScape X – PhotoScape X helps you create your own styles with various colors and filters, has film effect and light leak, and brushes and stickers to make your photos look funky. 68. Calibre – Calibre lets you read ebooks of many formats on your Mac and also helps you convert them from one format to another. 69. Kindle – Kindle lets you read more than 450,000 ebooks on your Mac without requiring you to have an actual Kindle. You can annotate and set bookmarks in your ebooks. 70. Kitabu – Just drag and drop an ebook into Kitabu and start reading. The app simplifies the entire process of reading ebooks on your Mac with its easy-to-use interface and features. 71. Ehon – Ehon is a comic book reader and ebook manager for your Mac that helps you read and organize ebooks on your Mac. 72. CopyClip – CopyClip is a clipboard history manager that saves what you have copied to your clipboard and helps you get it when you want. The app runs right from the menu bar of your Mac. 73. Flycut – Flycut is an open-source clipboard manager that helps you paste things even if you have something different on your clipboard. 74. ClipMenu – ClipMenu holds up to eight items in the history, and you can paste them whenever you want. These items can be plain text, images, or something else. 75. Jumpcut – Jumpcut is a minimalist clipboard manager for your Mac that claims to make your clipboard dance. It uses clipboard buffering to help you have multiple items on your clipboard rather than the last item that you have copied. 76. 1Clipboard – 1Clipboard is a universal clipboard manager that helps you copy content on one device and paste on another. It’s like you can copy items on your Mac and paste them on another device of yours. 77. TeamViewer – TeamViewer lets you control any computer on the Internet from your Mac so long as you have its access details. It’s a boon for those who wish to get or give technical help remotely. 78. RealVNC – RealVNC lets you securely connect to and control your desktop or mobile right from your Mac. It’s free for personal use. 79. Chrome Remote Desktop – Chrome Remote Desktop works inside the Chrome browser on your Mac and allows you to remotely connect to a desktop computer from your machine. 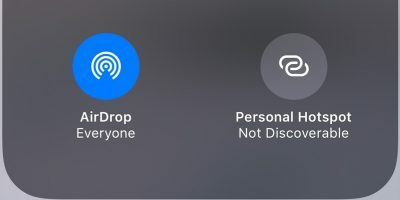 It also allows others to access your Mac over a secure connection. 80. dupeGuru – dupeGuru helps you find and delete duplicate files from your Mac so you can reclaim the precious memory space which has been occupied by these useless duplicate files. 81. Monolingual – Monolingual helps you remove unnecessary language files from your Mac to free up memory space. If you use your Mac only in one language, you can have the others removed with this app to reclaim memory space. 82. Org mode – Org mode helps you create to-do task lists in plain text on a simple interface. You can enter a headline for a task and it can then easily be converted into a task using this intelligent app. 83. Todo.txt – Todo.txt helps you work with the tasks that you have been adding to a txt file. It simplifies the entire process of creating tasks by letting you add tasks from a graphical user interface and command line. 84. 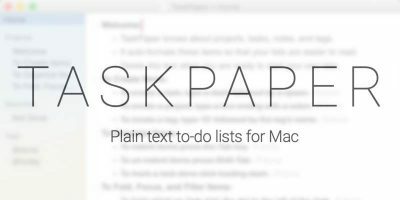 Taskwarrior – Taskwarrior helps you create tasks right from the command line on your Mac. You just need to enter your task and the time when it should happen, and the app will take care of the rest for you. 85. Todour – Tell Todour where your todo.txt file is, and it will create an organized list of tasks for you so you can manage your tasks in a better way than managing from a plain text file. 86. Freemind – Freemind is a mind mapping tool for you to put the thoughts running in your mind onto your screen to be shared with others. It has tons of other features such as project workplace, creation of subtasks, time recording, and so on. 87. 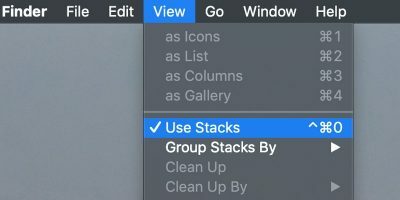 Quicksilver – Quicksilver is actually a launcher for your Mac that learns your habits and helps you work more productively on your machine. It has more features than Spotlight and can definitely let you be more productive as it knows what’s important to you and only shows that content on your screen. 88. Alfred – Alfred is a productivity app for Mac that provides tons of features. It contains features such as search and browse, and the results will be prioritized according to your habits, useful clipboard that knows what you are typing, and so on. 89. Double Commander – Double Commander is an open source file explorer and a good replacement for the Finder app on your Mac. It helps you manage files on your Mac and supports two panels side by side for quick file transfers. 90. muCommander – muCommander is a lightweight and cross-platform file manager with support for dual panes. It has support for archive extraction, tabbed navigation, modification of ZIP without recompressing, and is available in over 27 languages. 91. trolCommander – trolCommander is a feature-rich file explorer that supports dual pane, tabbed navigation, supports multiple virtual systems, and can work with many archive formats. 92. iTerm2 – iTerm2 is the replacement for your Mac’s Terminal app. The app brings with it modern age features to help you accomplish what you want with command line. It has split panes, hotkey window, search feature, autocomplete, and so on. 93. Cool Retro Term – Cool Retro Term gives you the look of those old cathode tube screens while you are working with the commands in the app. It makes you feel more scientific with its look. 94. MacTerm – MacTerm is a nice replacement for the Terminal app on your Mac. The app has 24-bit color support, search feature, notifications, macros, and a floating command window. 95. HyperTerm – HyperTerm is a beautiful and extensible command-line interface for your Mac machine to help you write your commands. 96. 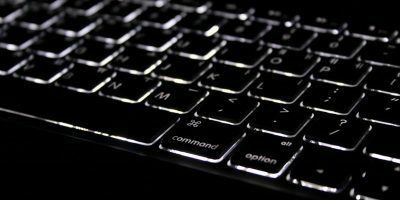 Black Screen – Black Screen is a terminal emulator that helps you write commands, has an autocompletion feature for anything you start to write, and so on. 97. Audacity – Audacity is a free audio recorder that helps you record audio on your Mac and also has a built-in editor to help you edit your recorded audio files. 98. Ardour – Ardour is also a free audio recorder that helps you record audio, edit audio, and even mix audio files to make them the way you want. 99. Radium – Radium has a bunch of features to help you play around with your audio files. It has features like velocity automation, effect automation, and pitch automation, to name a few. 100. Frinika – Frinika’s aim is to help you create any kind of music on your Mac. It’s a complete music workstation that helps you work and modify almost all kind of music on your machine. 101. Ecasound – Ecasound is a multi-track audio processing tool that helps you work with multiple tracks on your Mac at the same time. Above were 101 of the best free software for your Mac that will let you get the most out of the operating system on your Mac. Let us know what apps you liked the most from the above list.